A series of free, weekly workshops beginning this week will explore the many different faces of Kakaako. In the eyes of its majority landowners and deep-pocketed investors, Kakaako is Hawaii’s next great urban paradise, a new gleaming gem in the heart of Honolulu that’s thoughtfully designed to be a “livable,” mixed-use, mixed-income community full of hip, young, creative locals doing hip, young, creative things. Critics, on the other hand, see unchecked development overwhelming inadequate infrastructure, with expensive luxury high-rises towering over homeless encampments. The truth is probably a mix of both. And to help the public chart a path through the region’s constantly evolving roadmap, the University of Hawaii’s Department of Urban & Regional Planning is hosting six evening workshops beginning Tuesday, Oct. 13. Described as an “urban planning academy,” the workshops are intended to “create a space for information sharing, dialogue and connection” for the general public. “We welcome everyone who cares about Kaka’ako to embrace our kuleana as stewards of its future,” the department says. The first workshop, “Kakaako: Our Kuleana,” sets the tone of the rest of the program. It will cover the different plans proposed for Kakaako over the years, how development reached the point where we find ourselves today, and what’s likely in the years ahead. Speakers include George Atta from the City & County of Honolulu’s Department of Planning and Permitting, and Maile Meyer from the Puuhonua Society art collective and Na Mea Hawaii. 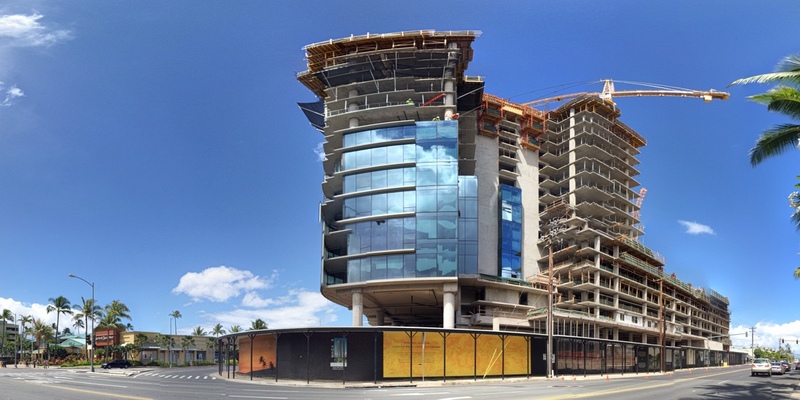 The planning vision for Kaka‘ako has changed and evolved over the past several decades. How did we get to today? Where are we going tomorrow? From sewer systems to storm drains, let’s lift the manhole covers and peer at the hidden systems that are critical to human and environmental health. One of the biggest fears is the neighborhood will be affordable only for the wealthy. What is currently being done for low and middle income residents and how can we improve upon it? The diversity of Kakaako means a diversity of needs and aspirations. What are the voices and visions for Kaka‘ako and how can they be realized? Nov. 10: Leveraging Rail — How Many Ways Can the Community Benefit? What are our priorities and how can we achieve them? How can rail help create parks and affordable housing, support small local businesses and increase livability? Nov. 17: Civic Engagement in Kakaako — Where Do We Go from Here? What role does the community play in Kakaako? What is our kuleana? There are many roles that people can play to build a livable place for all in the heart of the urban core. Featuring the Island Institute. The workshops will all be held in the community room of the Hawaii Community Development Authority, locatd in the American Brewery building (547 Queen St.). In addition, there will be special one-hour trolley tours of Kakaako and its seven neighborhoods, including the mauka area and the makai shoreline, on the morning of Saturday, Nov. 21. Tours will depart from Kakaako Agora (441 Cooke Street). For more information, visit the workshop page on the department website, or connect with DURP on Twitter or on Facebook. The overall program was crafted by students in the Department of Urban & Regional Planning’s PLAN 610 class, which covers community planning and social policy, with the support of the Hawaii chapter of the American Planning Association. Not living on the islands I cannot imagine the plight of these homeless individuals and along with setting up these camps comes a mutitude of problems. California has its own set of problems but it makes me sad that these deep pocket people on the island are not pro-active enough to help with affordable housing and not on a busy street. The only thing going for these people is the weather where temperatures do not dip down to freezing in most cases. It is just sad. Has Kakaako been cleaned up since the ENVIRONMENTAL HAZARD MANAGEMENT PLAN (EHMP) was completed in 2009? Cleanup costs were discussed under a section labeled “Roadblocks to Development” in Pacific Business News in 2002: http://www.avalon-development.com/pdfs/20020809.pdf My concern stems from the “cleanup” applying only to homeless evacuations and community beach cleanups. While the EHMP lists many other contaminants of concern (http://dbedt.hawaii.gov/hcda/files/2014/02/Exhibit-J.3-Kakaako-EHMP-Final.pdf), these are the first two mentioned and remain in the surface soil: TPH-O (http://www.atsdr.cdc.gov/toxfaqs/tfacts123.pdf), which affects the nervous system and is found in 6:9 areas of the Kakaako property; and Benzo(a)pyrene (https://en.wikipedia.org/wiki/Benzo(a)pyrene), which shows sufficient evidence of carcinogenicity in humans and is found in 7:9 areas. I haven’t found any report for post cleanup/restoration of Kakaako. Any reply or comment would be appreciated.